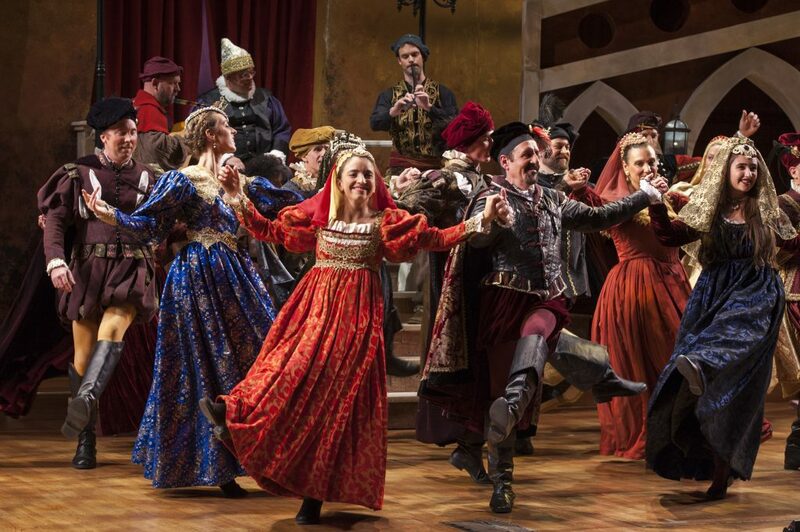 Christmas Revels tickets are now available … Click here to purchase your tickets today! It’s the height of the Renaissance, and the vibrant city of Venice is bursting with excitement! East meets West in this maritime hub, where merchants and craftsmen ply their trade alongside some of the Old World’s greatest (and not-so-great) artists and musicians. Overseeing all of this hustle and bustle is the overworked city official, the Doge. La Vigilia di Natale, Christmas Eve, is fast approaching. The Doge, overwhelmed with governing the city and organizing its Feast of the Seven Fishes, has lost perspective. Will a tatty troupe of comedians, fresh off an unsuccessful European tour, remind the Doge to embrace the magic of his city at this most festive time of the year? Photo from the Revels North website.